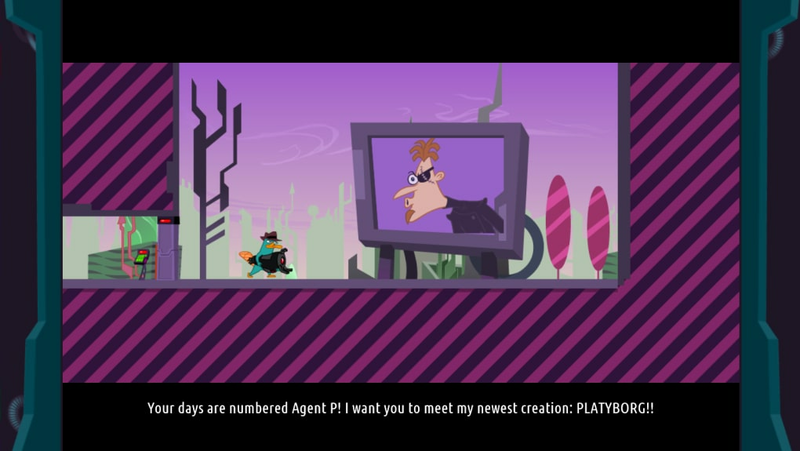 Agent P Strikes Back for Windows 8 is a platforming game where you have to rescue your fellow secret agents. 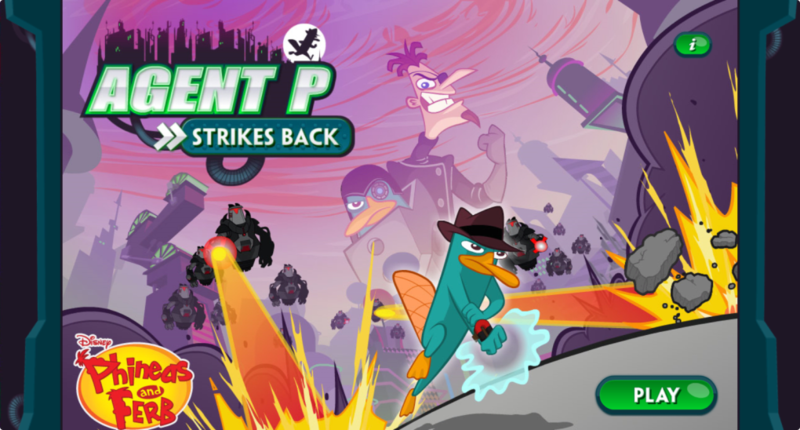 Agent P Strikes Back for Windows 8 is free but that's because it's more of a demo than a full featured game. There are only three levels available with no option to purchase a full version. Perhaps Disney plans to release a paid version in the future. 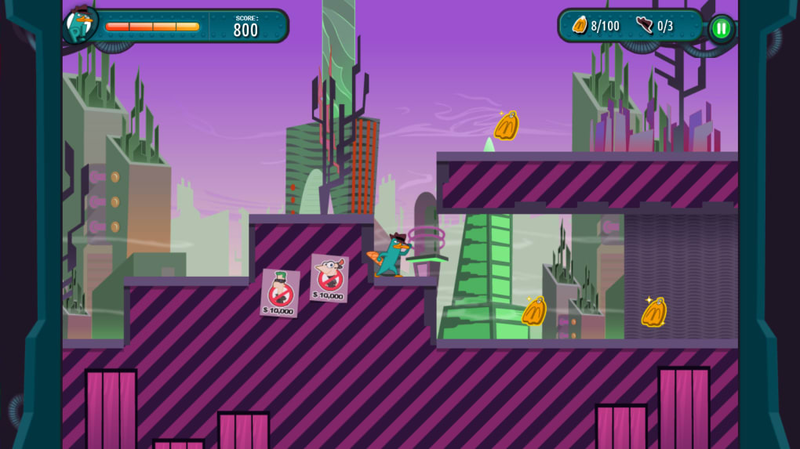 Gameplay in Agent P Strikes Back for Windows 8 is basic platformer. You can perform double jumps and scale walls. The beginning levels are easy to get around but the third level introduces wires that electrocute Perry if you touch them. This creates some challenging platforming to reach hidden items. There are 100 flippers in a level that can be collected, which promotes exploration if you want to collect them all. Some are well hidden so take your time to find them. Agent P Strikes Back for Windows 8 is a repetitive game. There is only one type of enemy and only one way to fight them. Robots move back and forth and will shoot at you if you're in their sights. To fight these robots, you'll have to get close them, activate your special wristwatch, which rips an arm off the robot for you to use against it. 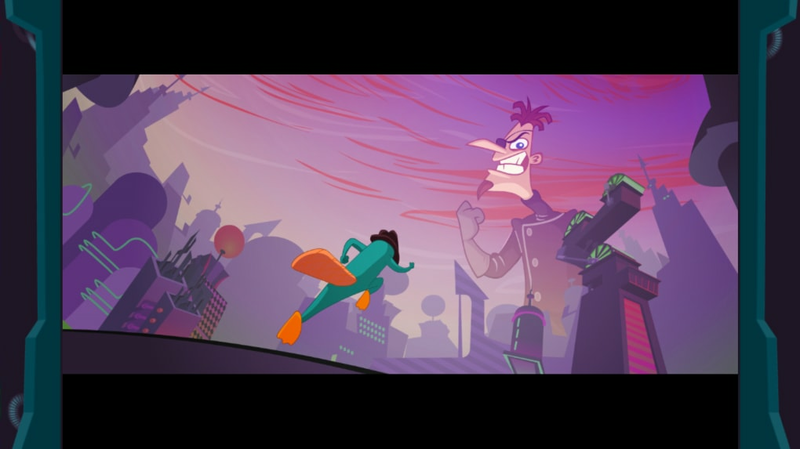 It's a real shame that there isn't more variation in Agent P Strikes Back for Windows 8. Overall, Agent P Strikes Back for Windows 8 is a solid platform game but it's too short and too repetitive to keep players coming back for more. What do you think about Agent P Strikes Back for Windows 10? Do you recommend it? Why?